The CW has announced the air date for the last episode of Gossip Girl. The former ratings hit will say goodbye on Monday, December 17th with a special two hour installment. October 31, 2012 (Burbank, CA) — For six seasons, they’ve brought the fabulous and scandalous lives of Manhattan’s elite into our living rooms. Now the stars of Gossip Girl bid farewell to the Upper East Side in a two-hour finale event airing Monday, December 17 (8:00-10:00 p.m. ET). All will be revealed in the drama-filled series finale, featuring a look back at the unforgettable OMG moments of the series that made headlines, including interviews with the cast and creators themselves. In addition, viewers will be treated to a sneak peek at the upcoming series The Carrie Diaries, starring AnnaSophia Robb as the incomparable and iconic Carrie Bradshaw growing up in the 1980s. Gossip Girl stars Blake Lively as Serena van der Woodsen, Leighton Meester as Blair Waldorf, Penn Badgley as Dan Humphrey, Chace Crawford as Nate Archibald, Ed Westwick as CHUCK Bass, Kaylee DeFer as Ivy Dickens, with Kelly Rutherford as Lily van der Woodsen and Matthew Settle as Rufus Humphrey. Filmed in New York and based on the popular series of young-adult novels by Cecily von Ziegesar, Gossip Girl is from Fake Empire and Alloy Entertainment in association with Warner Bros. Television and CBS Television Studios with executive producers Josh Schwartz (“Hart Of Dixie,” “CHUCK,” “The O.C.”), Stephanie Savage (“Hart Of Dixie,” “The O.C.”), Leslie Morgenstein (“The Vampire Diaries”), Bob Levy (“The Vampire Diaries”) and Sara Goodman (“Reunion”). What do you think? Will you be tuning in to see the big finale? 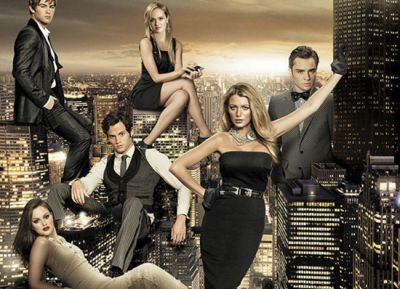 Gossip Girl: Should the Show be Cancelled or Renewed for Season Six?